The development of the discipline chemometrics is strongly related to the use of computers in chemistry. Some analytical groups in the 1970s were already working with statistical and mathematical methods that are ascribed nowadays to chemometric methods. Those early investigations were connected to the use of mainframe computers. The discipline of chemometrics originates in chemistry. Typical applications of chemometric methods are the development of quantitative structure activity relationships or the evaluation of analytical–chemical data. The data flood generated by modern analytical instrumentation is one reason, that analytical chemists in particular develop applications of chemometric methods. Chemometric methods in analytics is the discipline that uses mathematical and statistical methods to obtain relevant information on material systems. With the availability of personal computers at the beginning of the 1980s, a new age commenced for the acquisition, processing and interpretation of chemical data. In fact, today every scientist uses software, in one form or another, that is related to mathematical methods or to processing of knowledge. As a consequence, the necessity emerges for a deeper understanding of those methods. The education of chemists in mathematics and statistics is usually unsatisfactory. Therefore, one of the initial aims of chemometrics was to make complicated mathematical methods practicable. 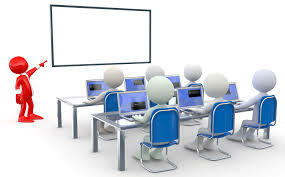 Meanwhile, the commercialized statistical and numerical software simplifies this process, so that all important chemometric methods can be taught in appropriate computer demonstrations. Apart from the statistical–mathematical methods, the topics of chemometrics are also related to problems of the computerbased laboratory, to methods for handling chemical or spectroscopic databases and to methods of artificial intelligence. In addition, chemometricians contribute to the development of all these methods. As a rule, these developments are dedicated to particular practical requirements, such as the automatic optimization of chromatographic separations or in prediction of the biological activity of a chemical compound. Nowadays the computer is an indispensable tool in research and development. The computer is linked to analytical instrumentation; it serves as a tool for acquiring data, for word processing and for handling databases and quality assurance systems. In addition, the computer is the basis for modern communication techniques such as electronic mail or video conferences. In order to understand important principles of computer usage some fundamentals are considered here, i.e., coding and processing of digital information, the main components of a computer, programming languages, computer networking and automation processes.